Just a stone’s throw away from the complex of Santa Maria degli Angeli, surrounded by a square fish-pond and preceded by a 17th century pavilion with a three-way entrance, stands the superb Villa Pallavicino attributed to the ducal architect Domenico Valmagini. In the olden days it was called “Boffalora” or, popularly, “Palazzo dei Marchesi”. This is one of the most splendid villas in the Parma area, featuring a five-module ground plan with a chessboard layout that recalls the family crest of the lords of Busseto. It started life in the second decade of the 1500s as a summer residence based on a design erroneously attributed to Vignola. It was later expanded and modified in the late 17th and 18th centuries, almost up to the start of the 19th century. The interior has allegorical frescoes by Evangelista Draghi (ca. 1670-80), Ilario Spolverini (beginning of the 1700s), Pietro Rubini (ca. 1746) and stucco decorations by Carlo Bossi (mid 18th century). 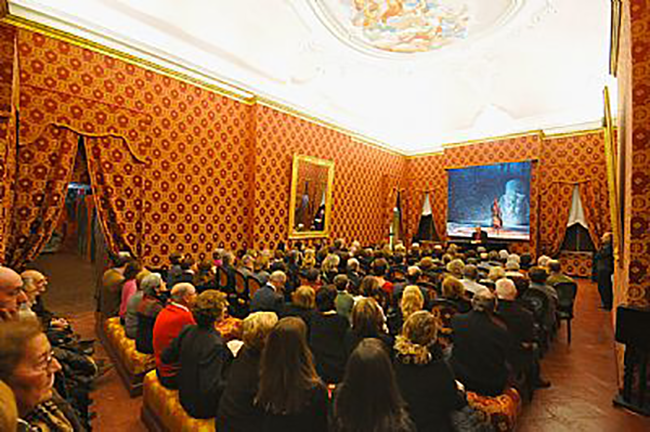 The 27 operas by the “Swan of Busseto” are represented in an artistic path with original scenery from Casa Ricordi, an 18th century environment with paintings by Hayez, theatre lighting and timeless pieces of music that welcome the visitor into an intense romantic atmosphere, a path created by set designer and director Pier Luigi Pizzi. From Nabucco to Trovatore and Rigoletto, from Traviata to Aida and Otello, from Macbeth to Falstaff, an oneiric immersion in the life and works of the great Maestro. 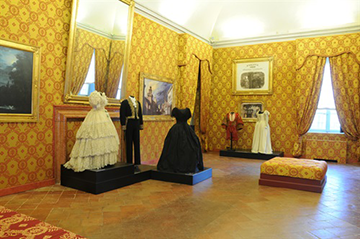 The costumes of Verdi’s heroines, Verdi’s lounge, his music room and a Requiem Mass room in honour of Rossini and Alessandro Manzoni complete the path. 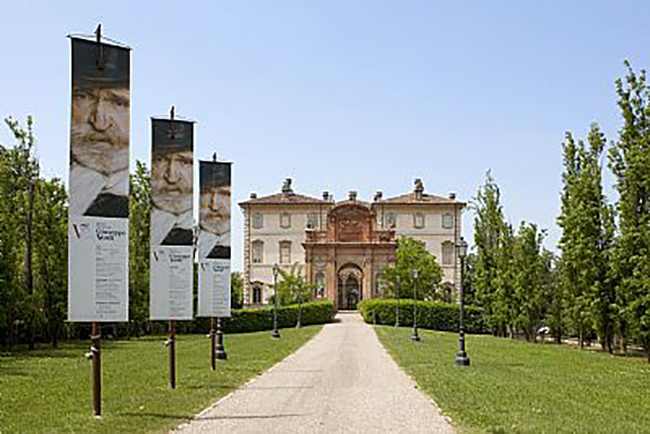 The music stands and the audio-guide in four languages with works by Philippe Daverio, a well-known art critic, give a historical overview of the people and the facts of the age that influenced Giuseppe Verdi in his works. 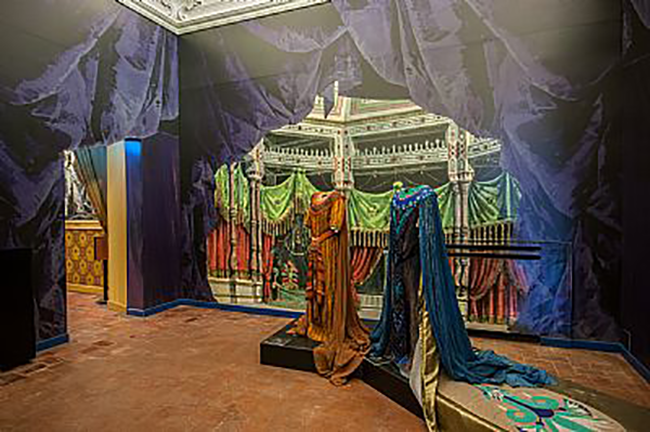 The large rooms of the museum offer a perfect place for visits by groups, schools and music associations.